In our opinion: absolutely! 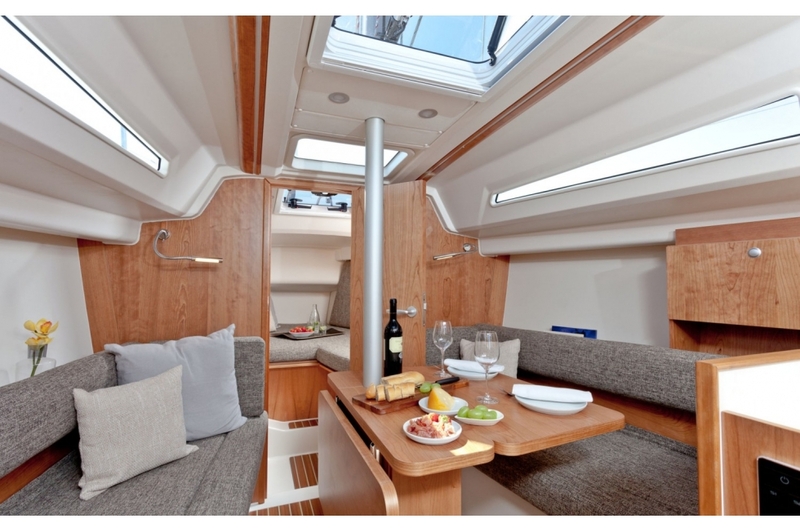 We focused precisely on these properties during the development of the Hanse 315. 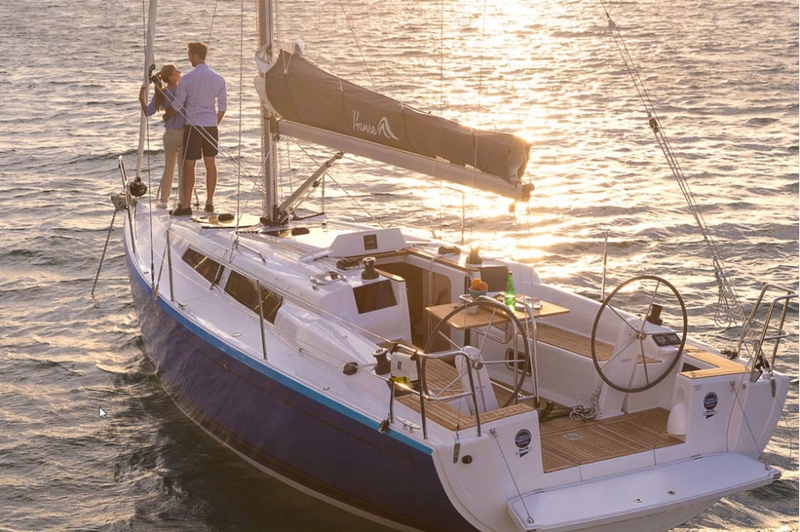 With high-quality equipment, a performance people have come to expect from a Hanse and with a confident style that leaves no questions unanswered. With you and most likely also among your jetty neighbours. 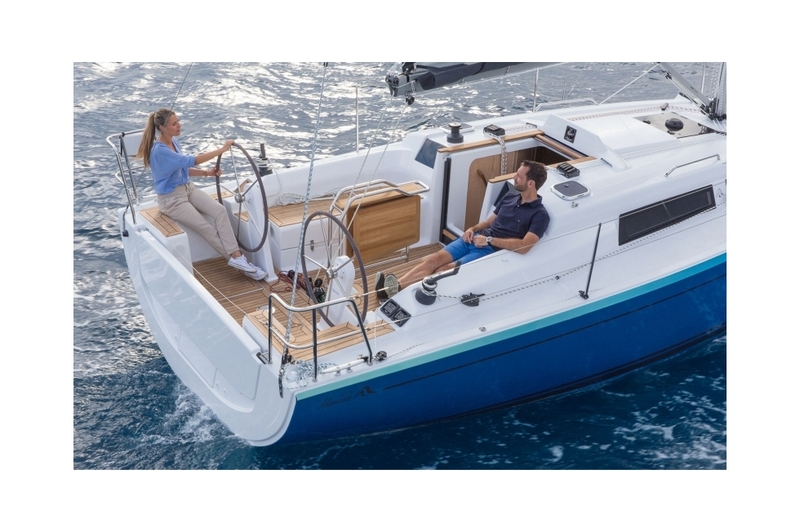 The new Hanse 315 is supplied with tiller control as standard and can also be equipped with twin steering wheels as an option. 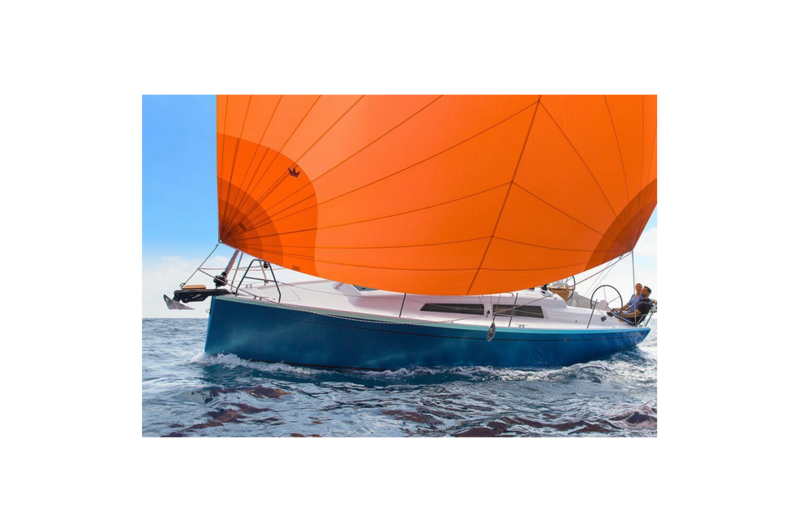 The deep L-keel with 1.85 m enables extremely reliable control. 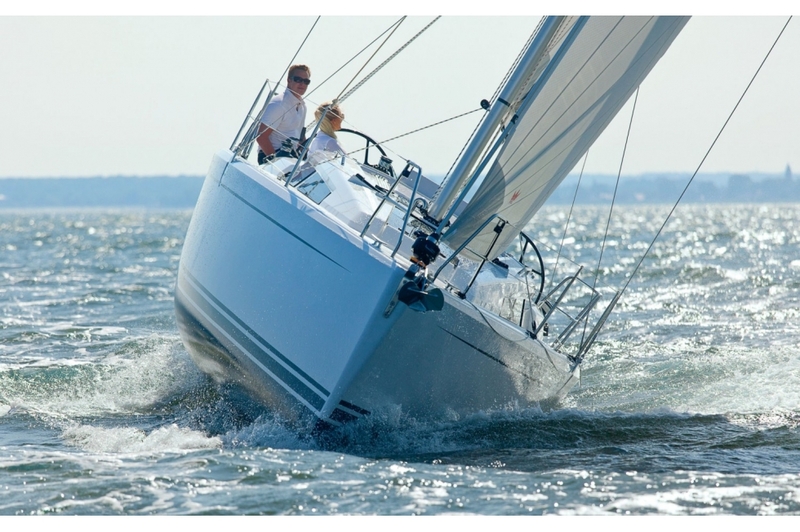 This is why the Hanse 315 is the first in its class to receive CE category A. 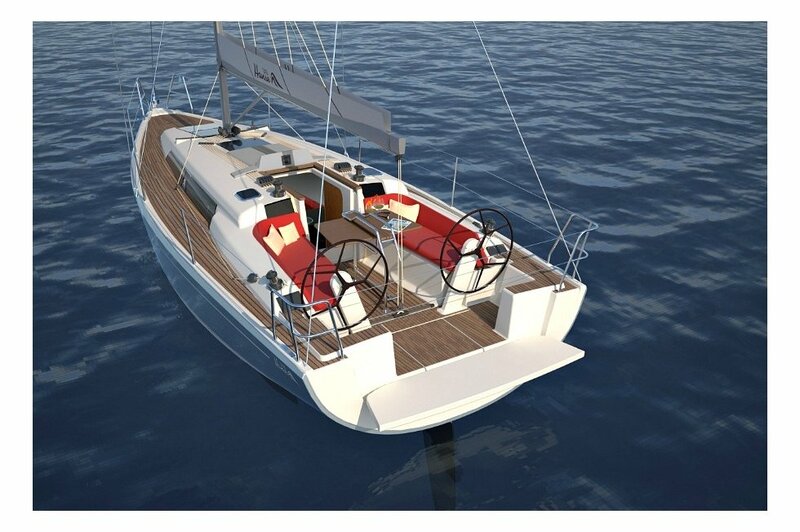 A shallow keel with a draught of 1.37 m is optionally available. On deck, the well thought-out deck layout with intelligent use of space is visible: The voluminous anchor locker with optional anchor winch is located in the bow with sufficient storage space for the anchor and mooring ropes. Directly behind it, there is the characteristic Hanse self-tacking jib rail as standard for “easy sail” operation. A traveller is available in the cockpit, which improves the trim of the mainsail significantly. The stern is open, but the cockpit is still very protected. The stern can be closed off completely with a bathing platform or, when open, offers more space for the children to play. If the steering wheels are chosen, the large folding cockpit table transforms the cockpit into a 5-star restaurant. 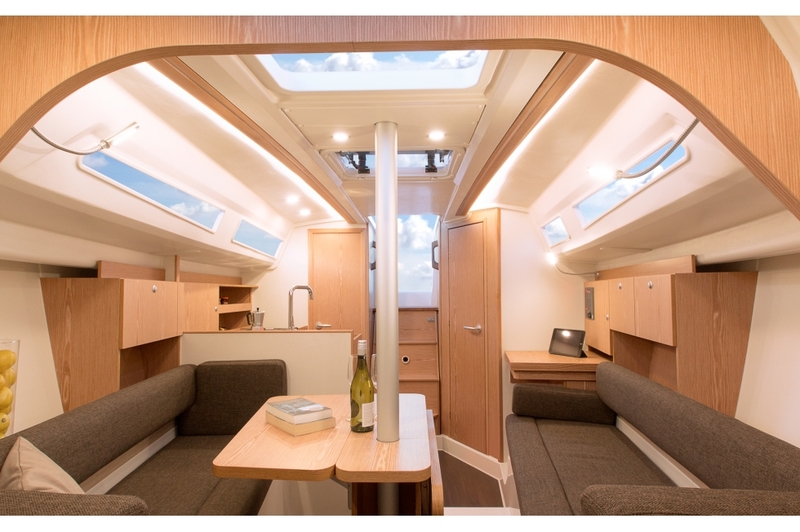 Inside, the Hanse 315 is light and airy. Scratch-resistant glass panes in the structure and ample portholes let in lots of light and air. There is a large amount of storage space in the saloon, the pantry and the cabins, as well as in the large storage locker. 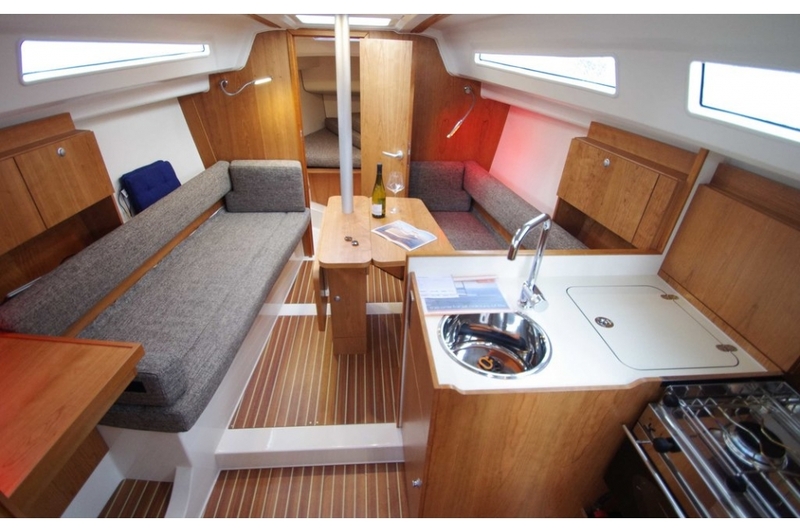 The Hanse 315 offers enough space for a crew of 4 people. 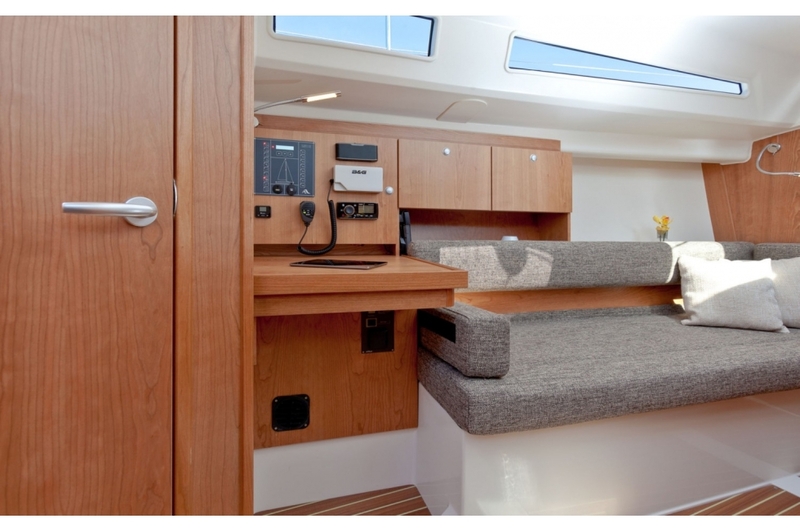 There is an impressive standing height of 1.91 m in the companionway, with 1.77 m in the bow. 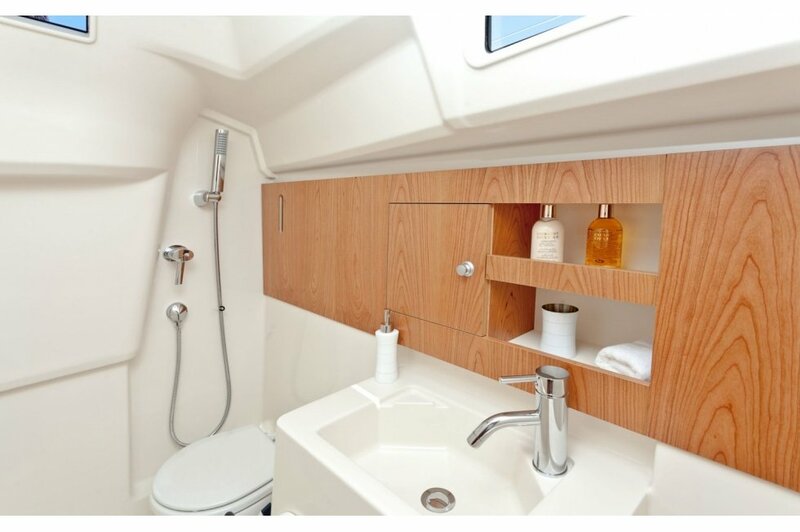 The standing height in the functional areas like the pantry, companionway and wetroom is achieved via a lowered floor, which means that the exterior structure remains flat and elegant. Two layout versions are available in the bow. Either with an open bulkhead and large double berth, or with a closed bulkhead, small seat and a variable double berth. Astern, there is a double guest berth under the cockpit, which provides a comfortable king size berth. 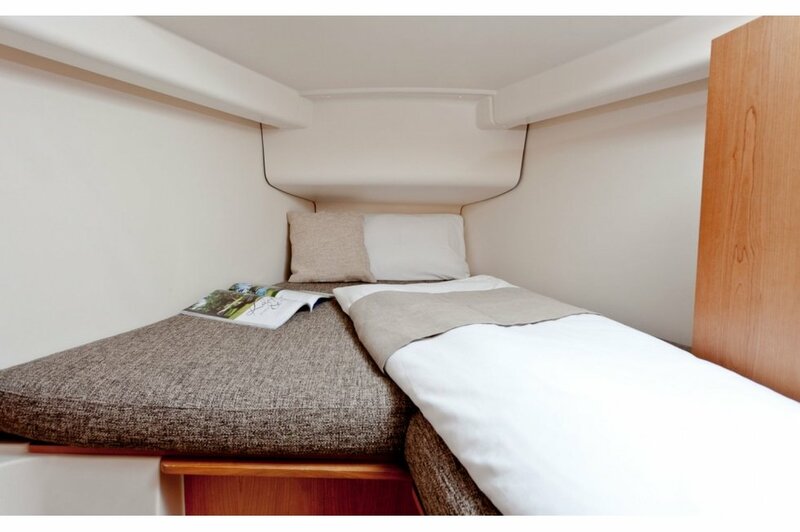 All berths have a length of over 2.0 m and are perfect for spending cozy nights on board. You will be surprised. You can sail this yacht single handed, whenever you like. Setting, hauling in, shortening and trimming the 47 m. sails can be carried out comfortably and directly from the helmsman position. From there you will have a complete overview at all times. At HANSE, we call that "Easy Sailing“. Once you have experienced it you will never want to sail another way again. 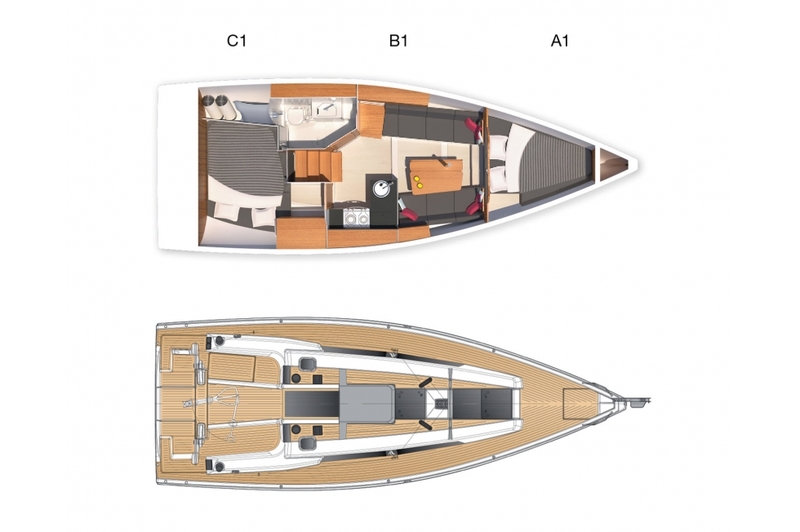 Hanse yacht design is the combination of functionality, modern aspects and elegance. Portholes and windows provide lots of light and fresh air. Another prominent feature of the exterior design is the XXL-cockpit. 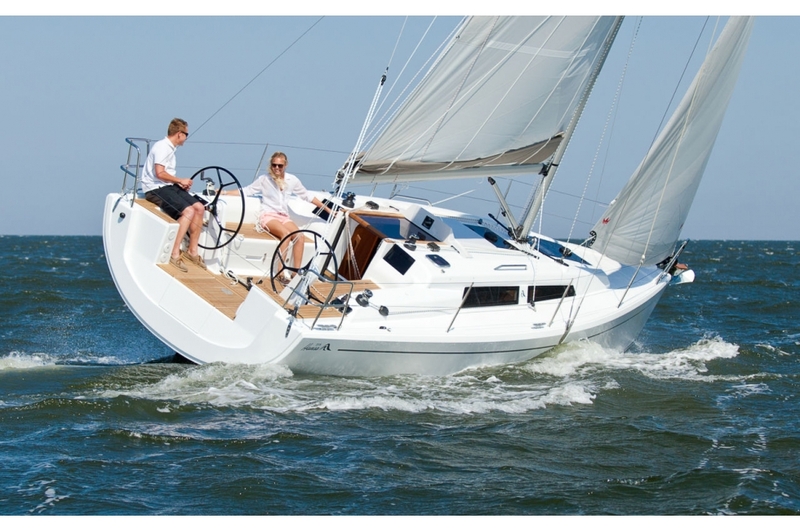 The HANSE 315 is optimized for both, tiller or twin wheel steering. Smooth performance sailing thanks to a modern hull shape combined with sleek coach roof lines!